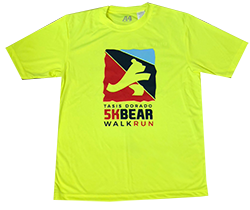 We are excited to announce that we are hosting the 1st TASIS Dorado 5K Bear Walk/Run on September 22, 2018 at the beautiful Gran Parque Agroturísico Ecológico in Dorado! We are seeking community supporters and partner organizations that can serve as event sponsors. Through your participation, proceeds from this family-friendly event will be allocated to the future TASIS Dorado Athletic and Wellness Center. We look forward to your partnership in hosting a fantastic community-building event for TASIS Dorado. This fun-filled activity is non-competitive, but will be chip-timed for those who want a challenge. Please join us for this family walk/run, complete with food trucks, live music, refreshments, raffles, and other fun activities like karaoke, "espuma" party and more. Register at www.tasisdorado.com/5k or by stopping by the Advancement Office. For Upper School students, class participation will count for Spirit Week points! Want to show your support in another way? Feel free to show your support by making a donation or becoming a sponsor! Please visit www.tasisdorado.com/5k for details and a schedule full of activities. You may email us at 5K@tasisdorado.com or call Ms. Michelle Yegros at 787-567-2508 or Mr. Luis Camacho at 787-903-1571. 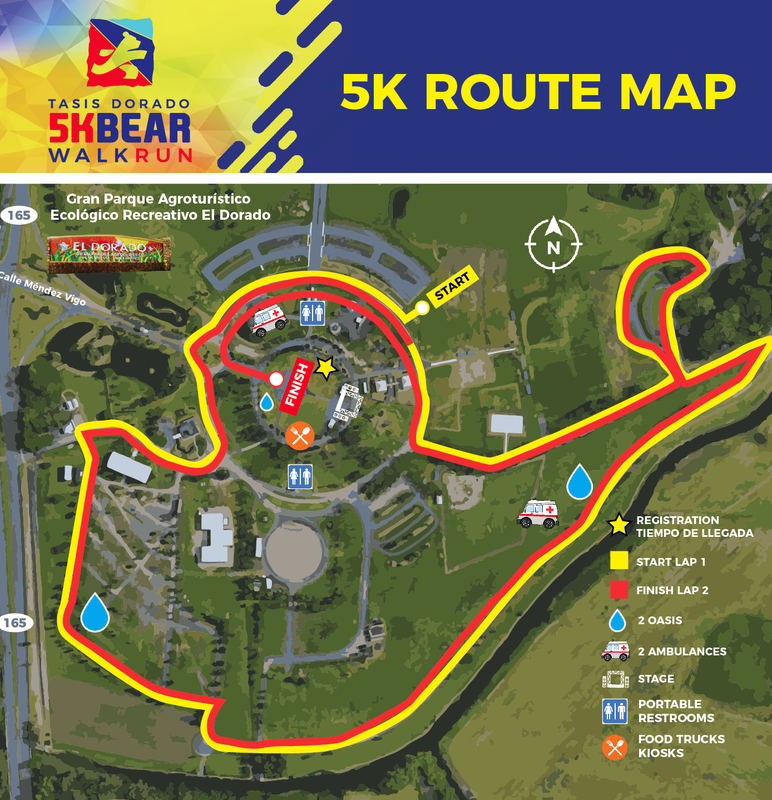 Thank you in advance for considering becoming a 5K Bear Walk/Run partner! ** Raffle: $5 to participate, sign up at at the Cash Register. Various prizes available including a Grand Prize: $500 TASIS Dorado tuition discount. Registration Fee on the day of 5K Event $40.00 p.p. Donation for Hat • $15.00 ea. 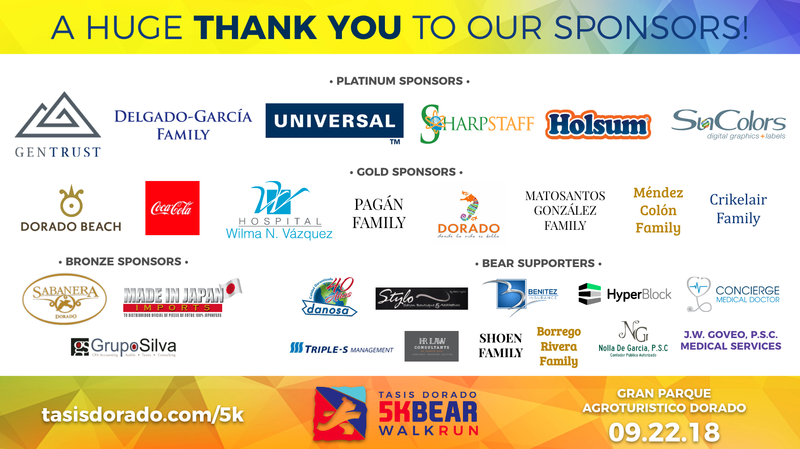 We are pleased to announce that we are hosting the 1st TASIS Dorado Bear 5K RunWalk at Parque Agroturísico in Dorado and are actively seeking partner organizations that can serve as event sponsors. Through your participation, you will support the future TASIS Dorado Athletic Wellness Center. We look forward to your help in partnering to host a fantastic community-building event for TASIS Dorado on Saturday, September 22, 2018. Below, you will find an outline of the sponsorship levels and a form that can be completed and submitted by email at 5K@tasisdorado.com. If you have any questions about the 5K or the available sponsorship opportunities, please do not hesitate to contact us at 5K@tasisdorado.com or call Ms. Michelle Yegros at 787-567-2508 or Mr. Luis Camacho at 787-903-1571. 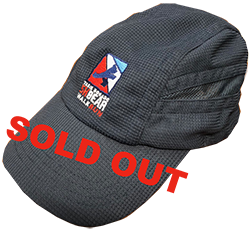 Thank you in advance for your consideration of becoming a 5K Bear Walk Run partner! All Sponsors will be recognized on Social Media and a banner the day of the event. PLATINUM • $2,500 | Includes Sponsor Logo displayed prominently on our new print promotions, four banners (provided by sponsor) and sponsor name on the large backdrop at the event. Social Media prominent exposure according to level. GOLD • $1,000 | Three Banners (provided by sponsor) and sponsor thank you banner at the event. Social Media prominent exposure according to level. SILVER • $750 | Includes Three Banners (provided by sponsor). Social Media exposure. BRONZE • $500 | Includes Two Banners (provided by sponsor). Social Media exposure. (ie. Water bottles, t-shirts, key chains, sports drinks, etc.) in exchange for promotional services, please contact our event directors. and bring it to our Business Office in the Main Building’s second floor. 2. Sponsors provide a number of banners banner according to sponsor level and deliver them before 9/20/18 to the TD Admissions/Advancement Office (first floor, next to fish pond). 3. Sponsor Banner Artwork Specs: Horizontal format, no larger than 6’ wide by 3’ tall. For printing materials: A high-resolution logo in vector format: Please ensure that the vector format is either EPS (Encapsulated Postscript) or AI (Adobe Illustrator) format. For the web: A 200 pixel-wide bitmap either in gif, png or jpg format. The height must be a multiple of four. Files are to be submitted electronically to Michelle Yegros at yegros.m@tasisdorado.com. 5. Any work required to prepare ads by designer or printer will be billed to the sponsor. 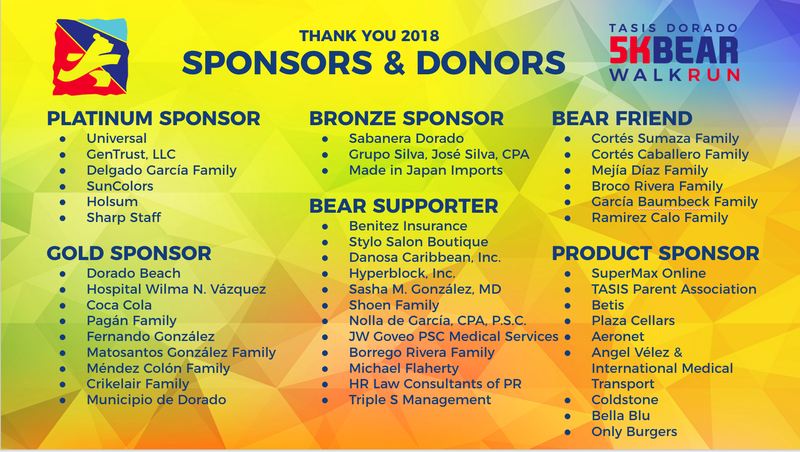 From our team at TASIS Dorado and the 5K Bear Walk Run committee, we bid a sincere THANK YOU to everyone who has committed their time, efforts, and donations. We are honored to be surrounded by such a caring community willing to band together to support the future TD Wellness & Athletic Center. There is still time to register at the event if you haven’t! See you on Saturday, September 22nd!